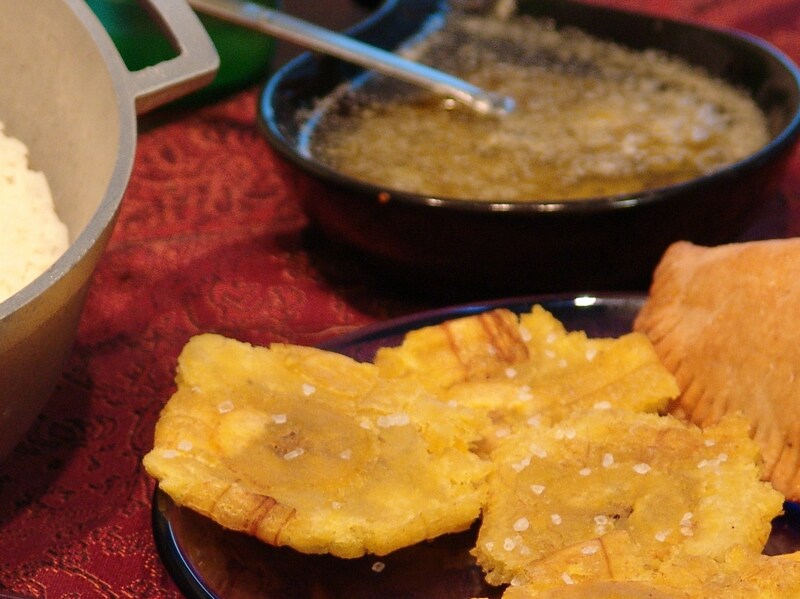 Tostones – from the Spanish verb tostar which means “to toast, also called Patacones, are a side dish that is popular in many Latin American countries. 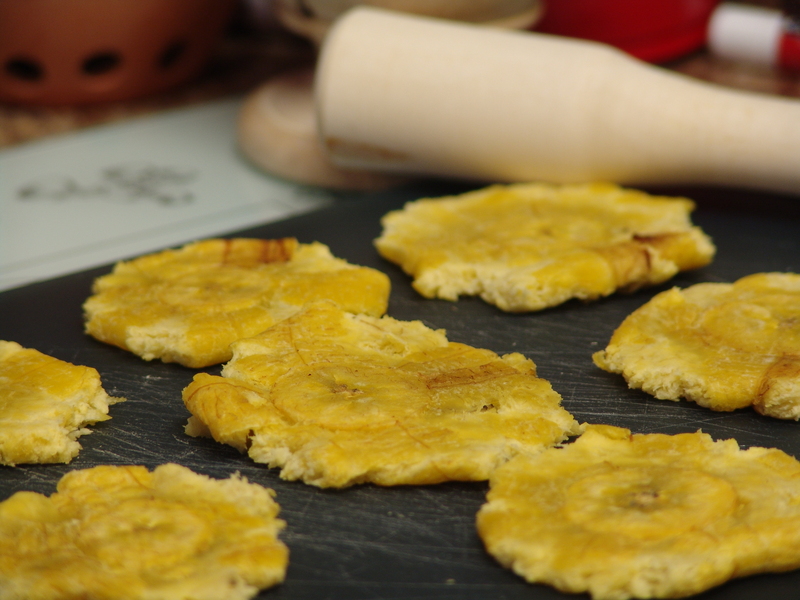 Slice the peeled plantains diagonally into 1″ slices. Fry the slices over medium heat until they soften. Remove from oil and drain on paper towels. Using a tostonera (a press), slightly mash each piece to about half an inch in thickness. If a tostonera is not available use a plate to flatten. It is best to press all the pieces first before going on the next step. Dip each piece in warm salted water and fry again until crispy. Remove from the oil and drain on paper towels. Season with salt. Serve with with garlic sauce. 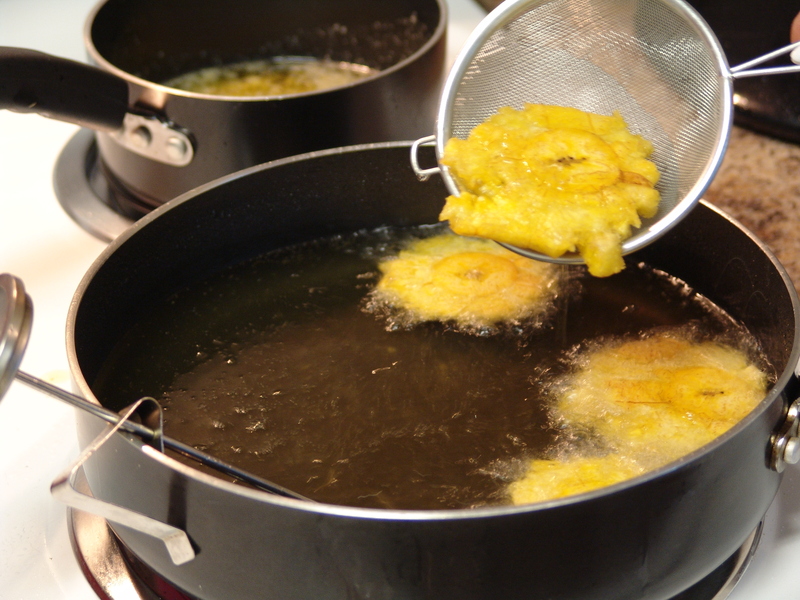 Pressed tostones waiting to be fried for the second time.